I was very honored to see the following article the Express-Times which ran in their Monday edition. The exhibit runs through the end of the month if you would like to see it. 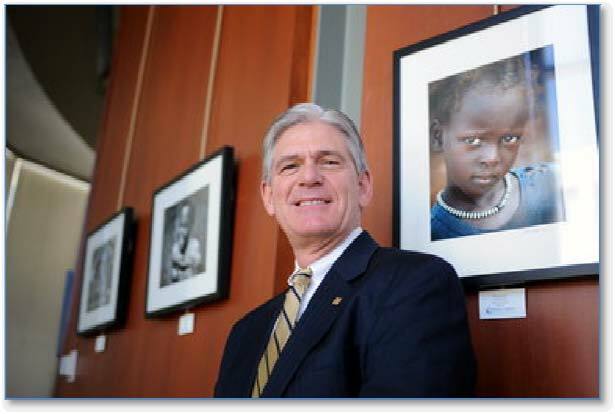 Upper Saucon Township resident Frank T. Smith’s photography exhibit called “The Birth of a New Nation: South Sudan” is on display at the Bethlehem City Hall Rotunda through April 29. The Bethlehem Fine Arts Commission was looking for something a little different for its monthly exhibit in the city’s Town Hall. And different is what it got: documentation of a new country’s creation. Upper Saucon Township resident Frank T. Smith was in South Sudan on July 9, 2011, the day the republic broke away from Sudan. Five days later, South Sudan became the 193rd member of the United Nations. A sampling of photographs he took during his trip makes up the Town Hall Rotunda Gallery’s April exhibit. Smith got the opportunity through volunteer work his wife, Karen, does with the African Leadership And Reconciliation Ministries, founded in 1994 in response to a crisis of Christian leadership in Africa following the Rwandan genocide. ALARM, as the group is known, was looking for new photographs for its website and hoped Smith could join his wife on her summer 2011 trip to Uganda and Sudan. When the trip looked to coincide with South Sudan’s independence, Smith jumped at the chance to go. The country broke off from Sudan, with which it has had a long, still-ongoing conflict. “I thought about it for like a nanosecond and was like, ‘Of course!’” he said. ALARM was able to get Smith photographer credentials to the independence ceremony. Because he is American, people assumed he was a noted photojournalist and let him get up front, he said. Several of the photographs in the exhibit are close-up shots of state officials. Smith’s favorite photographs in the exhibit may be of residents of Juba, South Sudan’s capital, as they awaited the big day. Several of those photographs include children peeking out of windows in anticipation. “If you can imagine being at the Super Bowl times a thousand, you can understand the emotion of the people,” he said. The emotion Smith was able to capture is especially what impressed Dolores Sproule, who along with Bethlehem Fine Arts Commission member Bev Hoover, selects the rotunda exhibits. Commission member Barbara Fraust nominated Smith’s work to the group. The two served on the board of the Allentown nonprofit Community Services for Children for many years, but Fraust said she didn’t know about Smith’s photography skills until she served as his real estate agent about five years ago. Smith’s rotunda show, called “The Birth of a New Nation: South Sudan,” “is just hugely powerful,” Fraust said. Smith has had several photography shows locally over the last decade, including an exhibit on the former Allentown State Hospital with David Rehrig at ArtsQuest’s InVision Photo Festival in November. Industrial ruins may be his favorite subject but he’s also done international photography in India, Kashmir and Bhutan. He donates all of the proceeds from the sale of his photographs to charity. Three local organizations are his regular beneficiaries — the Salvation Army, Big Brothers Big Sisters and ArtsQuest’s B-Smart program — but his South Sudan show also will benefit the ALARM organization. Smith for a long time had never wanted to sell his photographs, which are very personal to him, and never had to — thanks to his day job in commercial real estate with NAI Summit. But after numerous requests, he finally gave in, but only with his plan to help out nonprofits. “I’m very fortunate I have a full-time job so I don’t need this to support me,” he said. The “Birth of a New Nation: South Sudan” will be on display through April 29. The free exhibit is open 10 a.m. to 4 p.m. weekdays in the Town Hall Rotunda Gallery at Bethlehem City Hall, 10 E. Church St.
© 2012 lehighvalleylive.com. All rights reserved. Fantastic!! What a great story and well deserved.